What did we ever do before BB creams? A flawless middle ground between fuller coverage foundations and the sometimes too-sheer likes of tinted moisturizers, BB creams (short for "beauty balms") have had us covered the past few years, and we're not sure we can remember what life was like before them. Should we call it: BBBC—Before BB Creams? Maybe. Just like other beauty products that gain fast-and-furious market momentum, there have been plenty of skin-improving innovations within the sea of BB creams, from color-correcting technology to almost instantaneous zip-zapping benefits. They're the ultimate multitaskers, saving us steps, time, and frustration while also gifting us with a blurred, glowing complexion to boot. Infused with antioxidants aplenty, this four-in-one skin-loving formula is one of the best BB creams your drugstore has to offer thanks to its healthy ingredient list which includes mega-watt hits of vitamins C and E. Post-application, you can expect perfected, lit-from-within results. 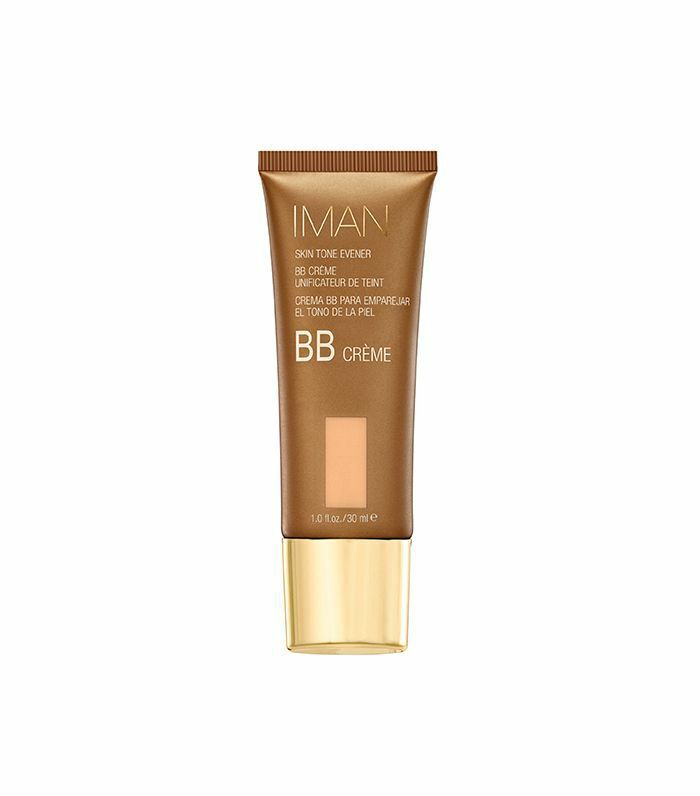 With an impressive shade range, this luxe BB cream from Iman Cosmetics is at the top of our list. Each flattering tint is perfectly sheer while magically illuminating skin with skin-evening fare like licorice, almond, kokum, grape-seed, aloe, and vitamins A, C, and E.
According to former Byrdie associate editor Audrey Noble, this lightweight drugstore cream actually treated her acne. 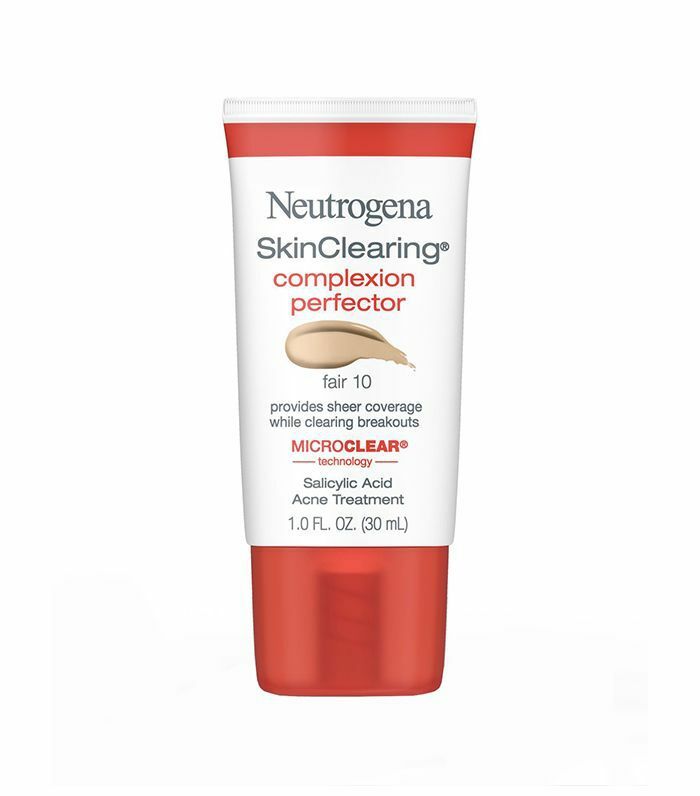 Not only does the beautifully sheer formula blur the appearance of blemishes (without looking like a mask), it will simultaneously treat breakouts using the brand's patented Microclear technology. 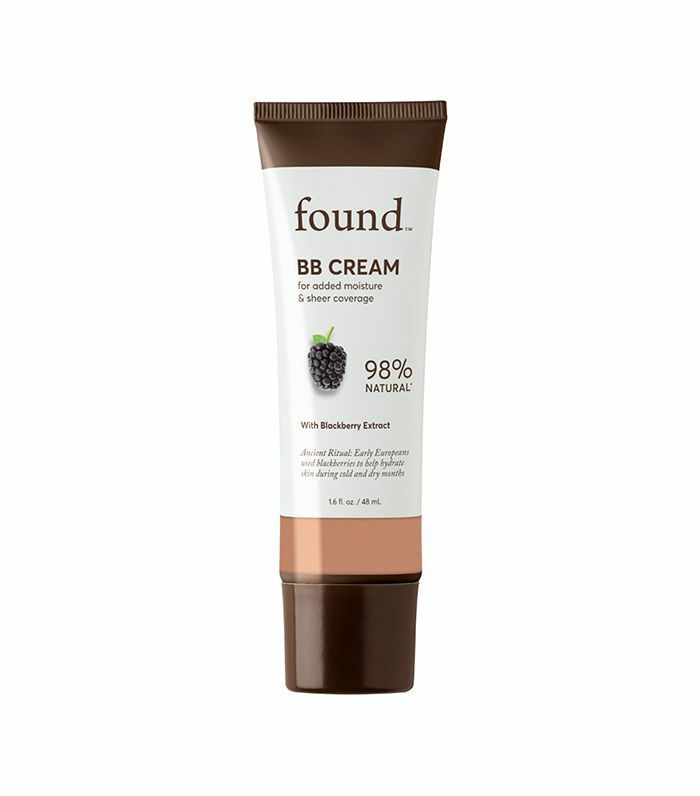 Here at Byrdie, we're super excited about Found Beauty and the brand's blackberry-enriched BB cream just so happens to be one of our favorite products. If you have redness or suffer from minor acne and discoloration, this detoxifying formula is for you. Since the formula effortlessly adjusts to your skin tone, you'll never have the dreaded "floating face" to contend with. (i.e., a complexion that doesn't match your neck.) 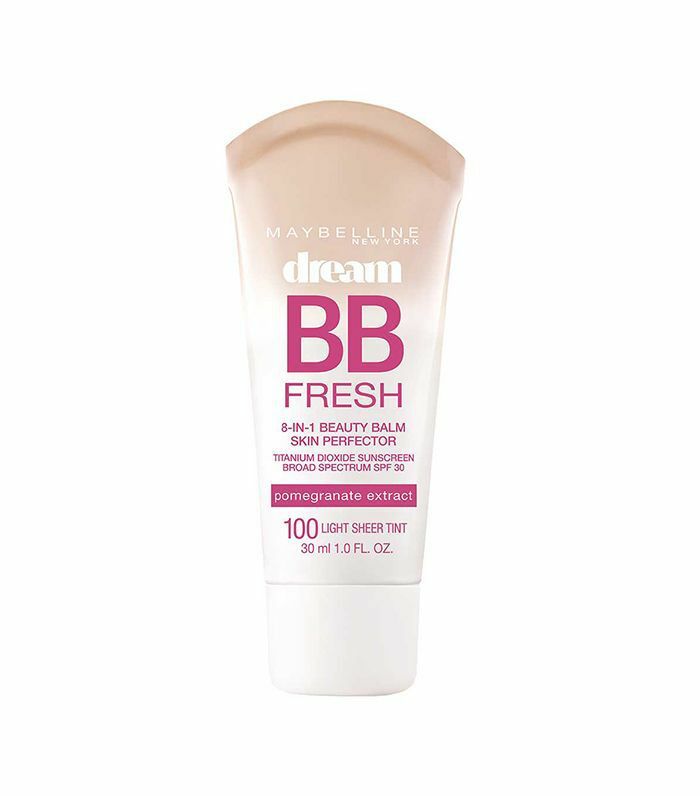 Maybelline's cult-loved BB cream will also hydrate, even, smooth, and brighten your complexion all while blurring out any grievances like blemishes or acne scars. Plus, it's completely oil-free and equipped with essential SPF. It's no secret Byrdie HQ feels passionate (in adoration) for anything La Roche-Posay. And this high-quality drugstore pick is n different. 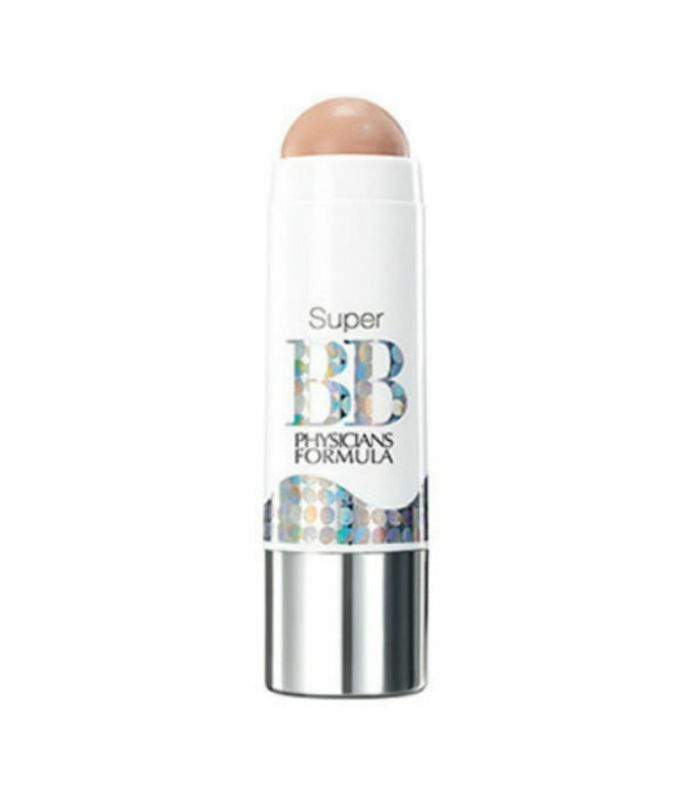 One part makeup, one part skincare, this blurring BB cream offers the best of all worlds. 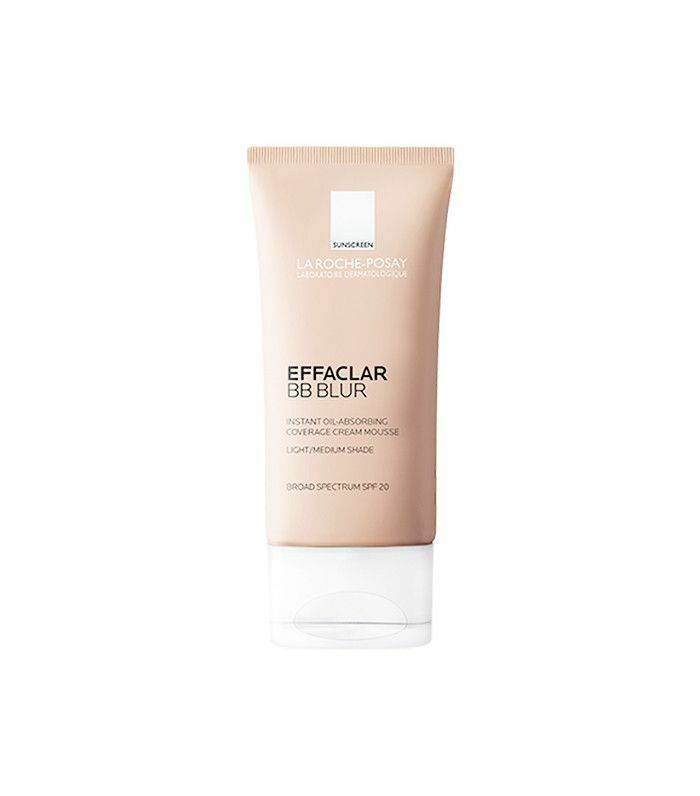 It leaves behind an even, matte, and featherlight aftermath while utilizing silica to prevent those midday oilies and SPF 20 to, of course, protect your precious complexion against harmful potential rays. Oh, and if you're prone to redness, this one has your back. 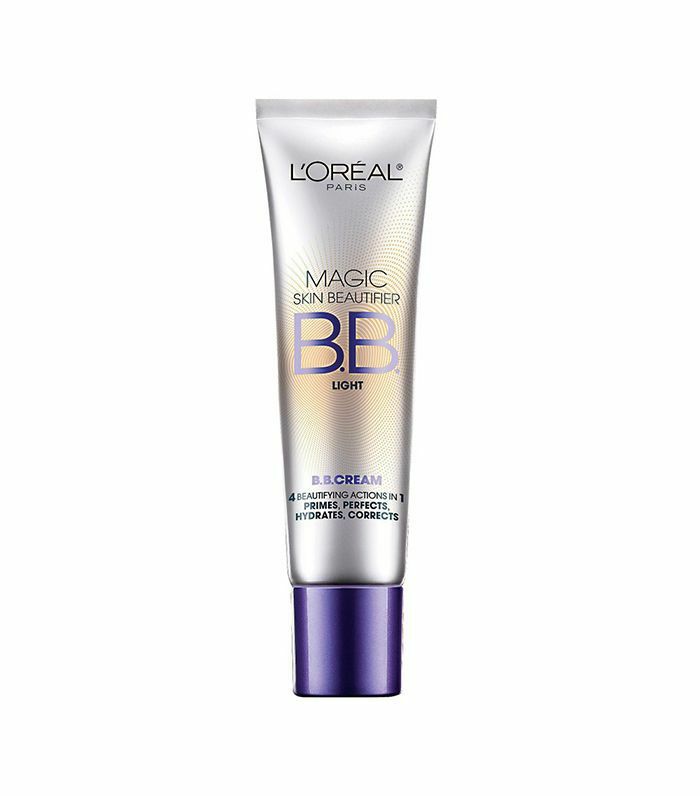 We're not sure how this BB cream is only $5, but we won't argue since it's by far one of the best drugstore options on the shelves. 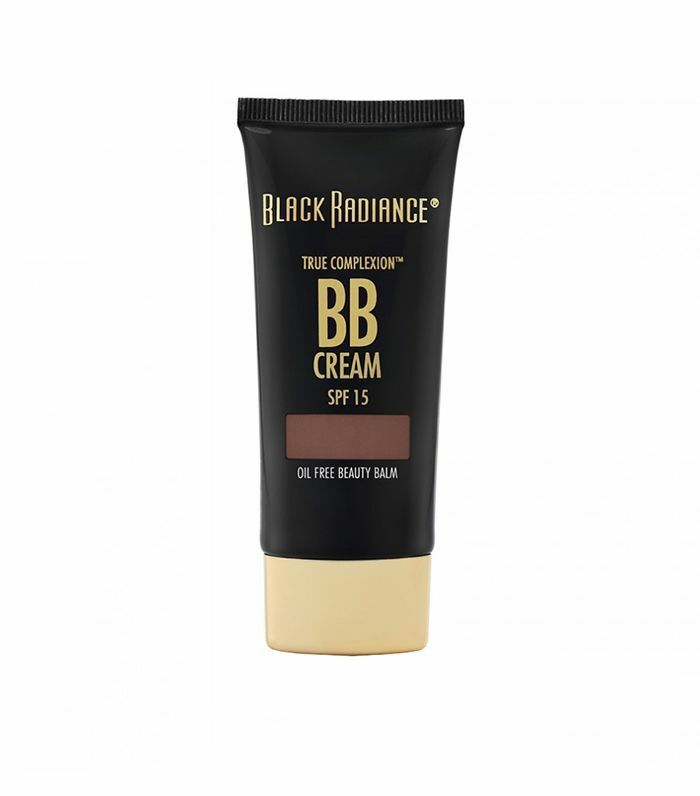 As convenient as they are, BB creams tend to be pretty stingy when it comes to color range. With five gorgeous shades to chose from, these five from Black Radiance promise sheer and weightless coverage, plus it's got an easy-to-blend formulation. 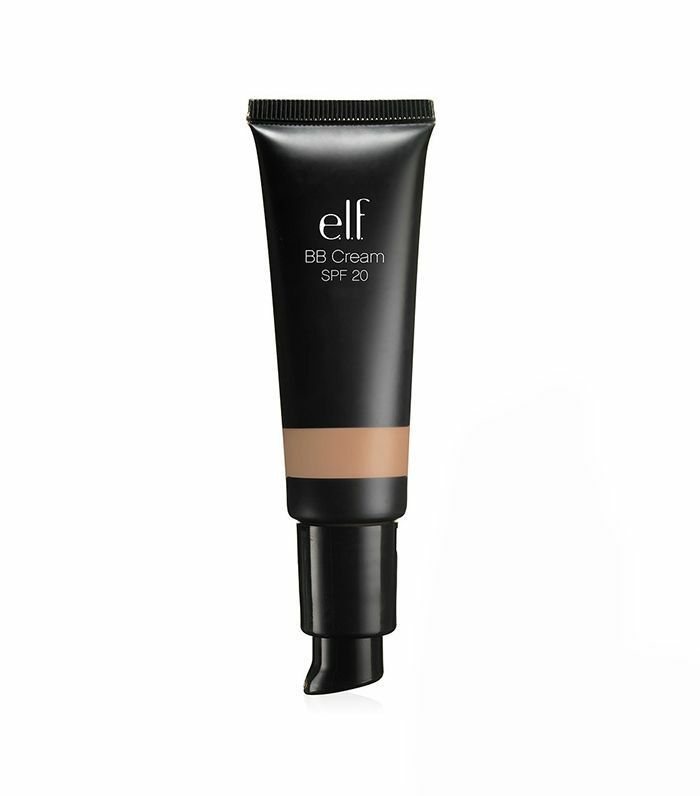 The first time we tried this drugstore BB cream from E.l.f., we couldn't believe it was the same price as our morning coffee habit. Extremely blendable, this best-of-the-best formula promises light, even coverage in addition to a helpful dose of SPF 20. Not to mention, your skin will love it for the high-caliber ingredient list including radiance enhancers like jojoba, aloe, cucumber, and vitamin E.
If you need a natural hit of coverage while en route, look no further than this adorable all-in-one BB stick from Physician's Formula. Completely hassle-free, this drugstore find fits to the curves and contours of your face. And though the coverage effortlessly melts into your skin, it will actually stay put all day. 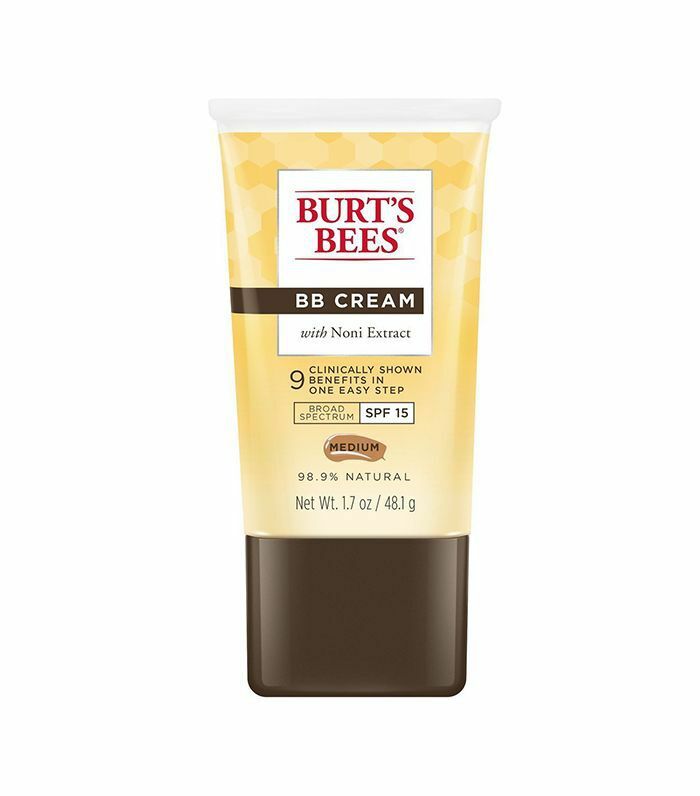 Boasting nine clinically proven benefits, Burt's Bees BB cream might just be one of the best drugstore options we've tried, period. Thanks in part to essence of the noni plant (which happens to be rich in antioxidants and hydrating benefits), this handy cream will also help protect skin with SPF 15 while simultaneously firming, concealing, smoothing, illuminating, and perfecting. Next up: Satisfy your drugstore lip balm fix with these editor-approved favorites.